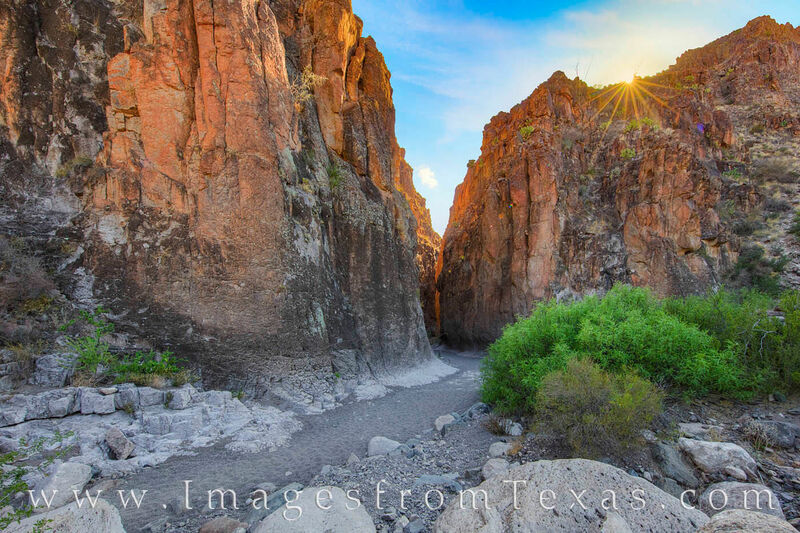 he entrance to Closed Canyon in Big Bend Ranch is a welcome site to escape the hot sun. From the trailhead, the distance to the shaded canyon is only about .3 miles, but the sun can be oppressive in summer months. Within the high walls of this slot canyon, temperatures can be 10-20 degrees cooler, offering a respite from the heat.